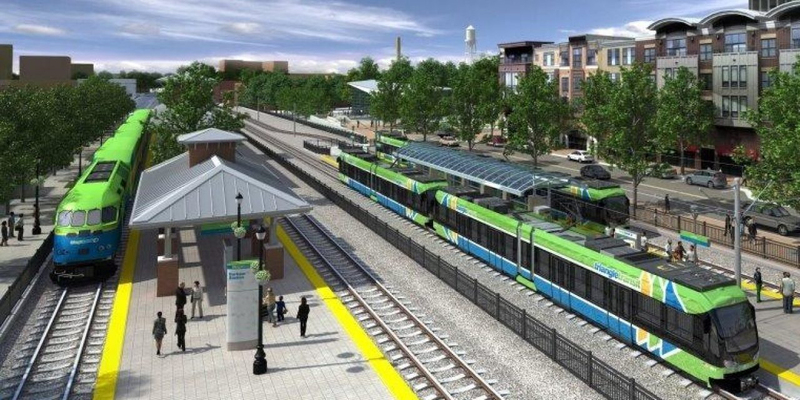 The GoTriangle (Research Triangle Regional Public Transportation Authority) Board of Trustees on March 27 voted unanimously to halt the $3.3 billion planned LRT for North Carolina’s Research Triangle in Durham and Orange Counties. 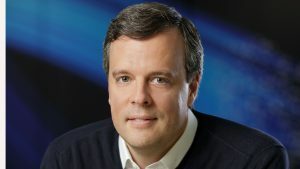 Local media reports have focused on opposition from Duke University as the primary reason for the project’s discontinuance, but it turns out that the Blue Devils account for only part of the details. In late February, Duke University announced it would not allow a portion of the planned 17.7-mile LRT to pass through its campus. The University’s decision, in which it refused to sign a cooperative agreement, came just days before a Feb. 28 deadline related to Federal Transit Administration financing. It appeared to be the final blow to the project. A GoTriangle report released shortly before Duke’s decision not to sign the cooperative agreement and donate land for the LRT along Erwin Road, which passes through its campus, said meetings with the University about the project “began to reveal bizarre contradictions, complications and a general dissatisfaction” after 15 years of collaboration. Duke officials “rarely attended planning meetings after 2015, delayed critical information about their needs, and only in recent months raised concerns about how the light rail system might affect sensitive medical and research equipment,” the report noted. The story, though, is far more complex than The Chronicle and other local media led people in the community to believe. 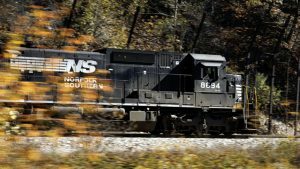 The student newspaper’s story only mentioned in passing that the North Carolina Railroad Co. (NCRR) also did not sign the cooperative agreement. In a Feb. 27 letter to Jeff Mann, NCRR noted that GoTriangle had advanced a number of plans for light rail over the years, “most of which included proposed use of the NCRR corridor between Raleigh and Durham. More recently, those plans were adapted and revised, and a final GoTriangle plan to introduce light rail emerged in 2014-15 as an electrified transit system using overhead wires on separate, dedicated track, proposing to use the NCRR corridor through downtown Durham for approximately two miles. 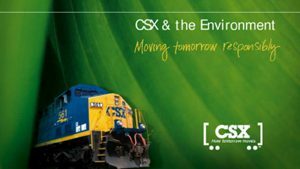 “Through each of these scenarios, NCRR and our operating railroad partner, Norfolk Southern, reviewed … plans and offered comments in an effort to ensure the proposed plans would be compatible with the existing infrastructure for main line freight and Amtrak train systems, as well as future commuter rail, all within or along the NCRR corridor. “Over recent weeks, GoTriangle has worked on revised conceptual plans, which we understand to be approximately 20% designed (i.e. not yet fully engineered). 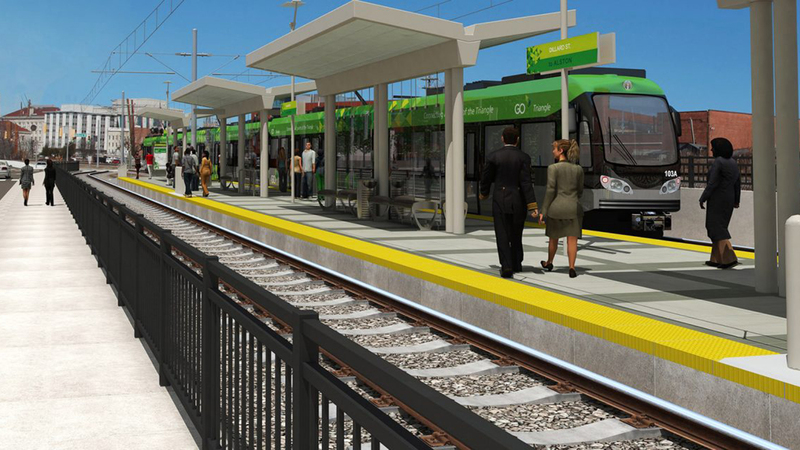 Optimistically, when completed, you will have addressed the technical challenges and safety issues presented by locating a light rail operation within and adjacent to the active freight and Amtrak passenger rail corridor, and can achieve GoTriangle’s goal of high-frequency transit east-west through downtown Durham. 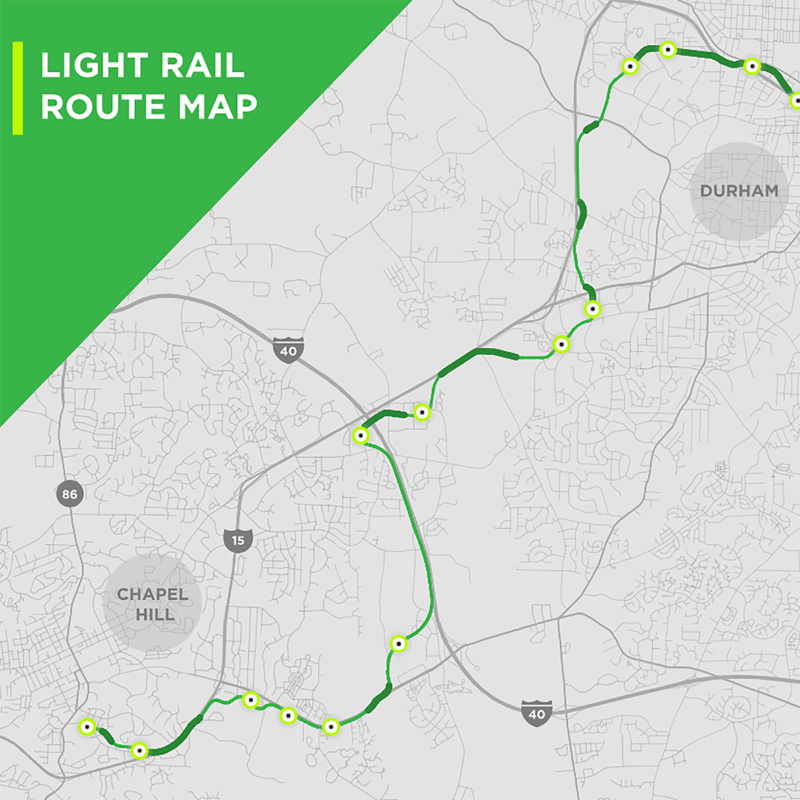 “[T]he current GoTriangle plan proposes ‘fitting’ a double-track, electrified light rail system along the NCRR corridor, locating the proposed light rail system adjacent and parallel to the main line NCRR railroad that is operated, maintained, and dispatched by Norfolk Southern. The near-term goal of our engineering teams is to determine all of the details necessary to fit the new tracks, supporting below ground retaining walls, bridges, electronic control systems, stations, and electric overhead wires … Safety of the freight and Amtrak trains, pedestrians and riders remains a primary concern for NCRR, therefore we are unable to approve the plans in their current stage as the basis of a signed lease. “We communicated that before recommending execution of a lease, NCRR required final plans, or 65% plans at a minimum, the standard NCDOT uses when acquiring land for new construction. Nonetheless, we have indicated to you that we would be willing to commit to the form of that lease document, which will include final agreement on the one-time rental fee, a performance guaranty payment, and liability and indemnification clauses acceptable to NCRR and Norfolk Southern that have thus far not been agreed to by GoTriangle. 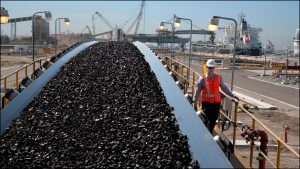 “What we suggest is that GoTriangle continue the design work while designated representatives of GoTriangle and NCRR finalize the lease language subject to approved final plans, and that this form of unexecuted lease draft be presented to the FTA in good faith as part of your federal funding applications. We are happy to participate in those meetings with the FTA in order to verify that NCRR is committed to executing a lease upon approval of acceptable final plans, and to see the project through to completion as the issues between the many parties to GoTriangle’s plan continue to be addressed. NCRR President Scott Saylor spoke with me on March 29, following the project’s untimely death. 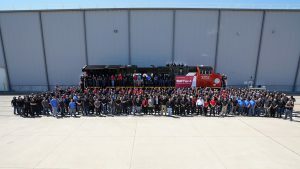 “The North Carolina Railroad Company’s cooperation with a light rail plan for Durham and Orange Counties dates back more than ten years,” Saylor told me. “It is disappointing that the current plan could not work. As we shared in the letter to GoTriangle on Feb. 27, we affirmed our willingness to execute a lease when final terms are agreed to, and final engineered plans and property boundaries are known. “GoTriangle was making good progress on the design, though at the time of the decision to discontinue the project, conceptual plans were at 30%. While the FTA may find plans at that stage are acceptable for signed agreements, NCRR did not feel comfortable agreeing to a 100-year lease without better information about the system footprint. Not long after this was written, the number-one-seeded Duke Blue Devils lost to the Michigan State Spartans in NCAA basketball championship Elite Eight round. Many March Madness pundits had picked Duke to bring home the title. They won’t, but even if they had, it unfortunately would not have been to a university campus with light rail in its future. As such, everyone has lost. By the way, congratulations to MSU. I’m sure that Nick Little, who runs the Center for Railway Research and Education at the Broad College of Business, is pleased!